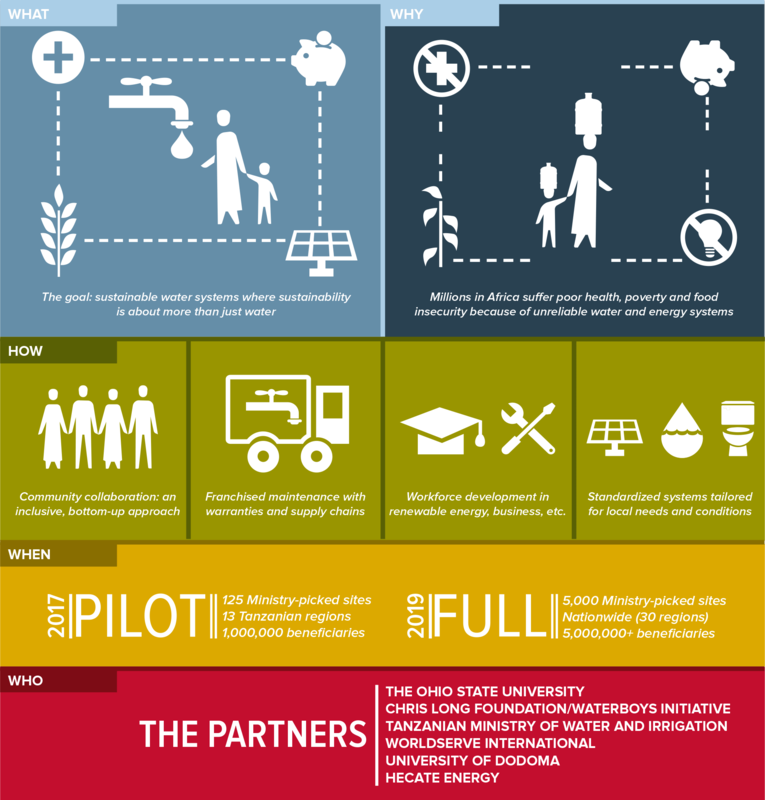 Ohio State’s Global Water Institute is working with the University of Dodoma, three Tanzanian government ministries, Hecate Energy, WorldServe International and the Chris Long Foundation/Waterboys Initiative to improve sustainable water access and develop a workforce that can turn water and energy into economic prosperity. Their pilot project will replace broken water wells in 125 Tanzanian villages with sustainable village water systems that include water, sanitation, renewable energy and linkages to economic opportunities. These projects, which stand to impact at least a million Tanzanians, are integrated with both research and education to ensure a cycle of development and human capacity-building for a sustainable future.